Saturday, April 4, 10 a.m.
Don’t miss Before They’re Famous: The CCAD Spring Art Sale—a semiannual juried showcase of works by more than 100 CCAD students, faculty, and alumni. Admissions fund student scholarships, and sales proceeds go directly to the artists. Parking is free on CCAD lots. Extra! Extra! 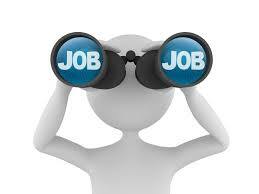 Read All About Job Opportunities!! CCAD has two current job openings: Vice President for Marketing and Communications and Vice President for Institutional Advancement. decisions affecting revenue generation and advancing the position of the College. Plans & directs the Ohio Arts Council’s overall public information program, oversees preparation & dissemination of educational & informational material reflecting agency activities & performs related program activities (e.g., develops, prepares, types, proofs & issues news releases &/or public advisory group announcements & meeting minutes &/or speeches to media &/or public advisory groups; develops public advisory groups & statute mandated task forces or councils; coordinates agency program in rule making & permit public information meetings & hearings; develops & presents information & educational displays, programs, materials &/or speeches to media; writes, types, edits & performs lay-out work on publications, articles &/or newsletters; assists with budget preparation & coordination of special projects). Advises & consults with agency director & staff regarding public relations aspects; serves as resource person for information on positive public presentation of agency programs & activities; responds to written &/or telephone requests for speeches &/or presentation; delivers speeches & gives presentations; supervises assigned personnel (e.g., secretary, layout design artist, public information specialist, college co-op). Sets up conferences & coordinates arrangements with media; evaluates development, preparation & dissemination of public information. Hello 2015! We are excited to Congratulate Kellie McDermott on her Colab show with Carol Snyder. Hey Ohioans we want to encourage you to stop on by the Peggy R. McConnell Arts Center of Worthington to see Luminous Landscapes in Ceramics & Encaustic Paintings. You will not want to miss this show! Kellie McDermott will impress you with her encaustic paintings. What this woman can do with wax is amazing. We appreciate your talent here at Ohio Art League and congratulate you on your current Exhibition.